A: Self-service storage, also known as mini storage, is a perfect way to store personal belongings you might not have any use for at the moment. 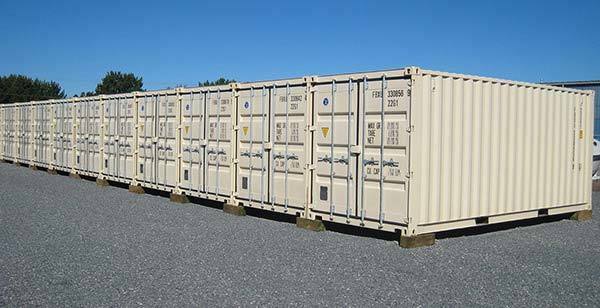 Storage units are rented to tenants, usually on a month-to-month basis, however long-term options are available. Q: What unit sizes are available? A: We offer 375 heated and unheated units. Click here for available sizes. Q: How do I pay for my self-storage? A: We accept Visa, MasterCard, American Express, Cash and Interact. Q: How do I know my belongings are secure? A: Security measures: video/internet surveillance monitored live 24 hours, fully fenced perimeter. Q: Are you open 24 hours? A: No, for maximum security, we want to be on premises during open hours to make sure your belongings are safe. Contact us to learn more. Q: Do you have vehicle storage capabilities? A: We offer storage units which will accommodate most vehicles. Q: What can I NOT put in storage? A: You may not store: food and perishables, flammables, explosives, toxic or noxious substances, radioactive substances or any illegal items whatsoever.